We’re all pretty well used to kicking out the cash to Microsoft, so it might surprise you that Bill and the boys, actually give away some very polished applications. Even if you don’t run an office, you can still use this terrific application to managing your credit cards, and bank accounts, and if you have a PayPal account, you’ll find it easier to complete transactions using Office Accounting Express. If, on the other hand you do run a small business, you’ll find increased functionality within this program, including the ability to handle payroll, vendors, invoices, quotes, cash sales, and more. I’ve used QuickBooks for years and I found, in testing, Office Accounting Express was a reasonable substitute. 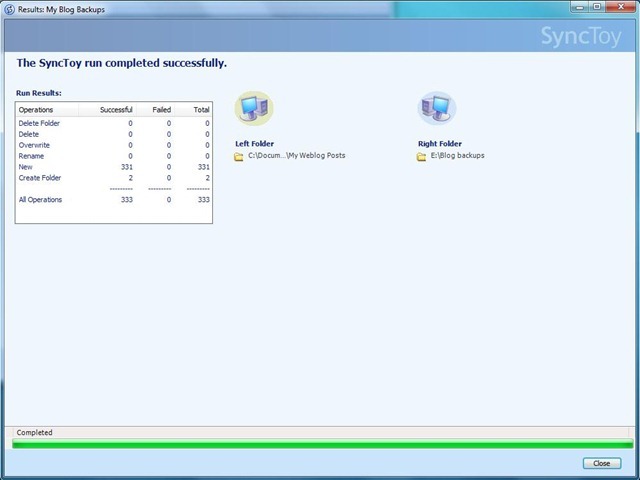 Note: As of November 16, 2009, this application is no longer available directly from Microsoft. Download is still available at the link below. This latest release of Paint.NET (November 6, 2009), might not be quite Photoshop in disguise, but it’s a pretty serious contender. While it can’t perform some of the more esoteric functions of Photoshop, it can certainly assist even an average photo hobbyist achieve spectacular results – results which are generally not achievable in a free photo application. Regular readers of this site are probably familiar with the benefits of running in a virtual environment (a virtual machine acts like a standalone computer), while surfing the Internet, or while testing new software. 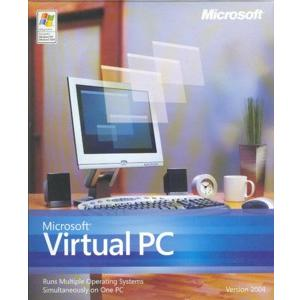 Microsoft’s Virtual PC application allows even less technically inclined users to run in this mode, in a way that’s easy to understand, and easy to use. Visual Web Developer 2008 Express Edition is an incredibly functional and easy-to-use free application that will output a unique, custom designed website, to promote your club, hobby or business, or to put your favorite family/holiday photos online. It couldn’t be easier. As Microsoft says – “Get started quickly by becoming familiar with the Visual Web Developer environment with the Introduction to Visual Web Developer 2008 video”. 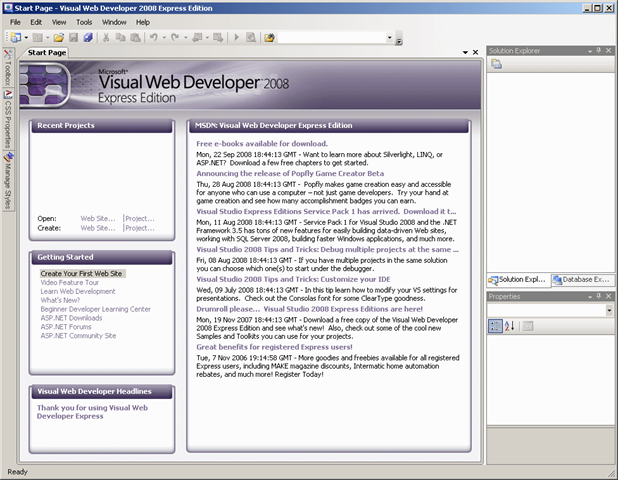 If you are an amateur, or even if you are a proficient web site developer, Visual Web Developer 2008 Express Edition, will surprise you with the professional quality that you can achieve with this application. So I guess if you have a Home Basic or Home Premium edition it won’t work. Thanks for the info. Checkout free Virtual Box(I just downloaded it this morning for testing), which will run on virtually any recent X86 hardware. A number of regular readers here, give this app high marks. This is nice compilation list. However, I have an issue. If I am right, you are talking about Free Microsoft product and as per my knowledge Paint.Net is not a Microsoft product. It’s a creation of dotPDN LLC but if you talking about software which work on Microsoft Windows then everything is fine. 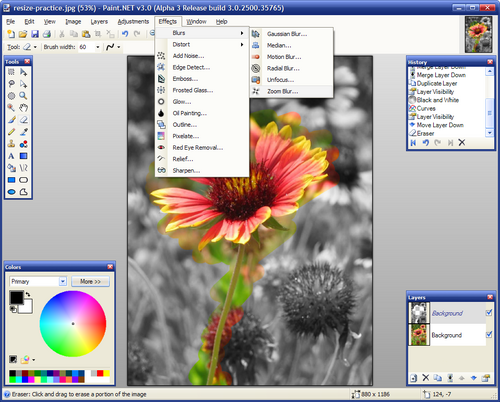 Just so you’re up to date – Paint.NET started as a computer science project at Washington State University. But it was such a good image and photo editing product (as well as an exceptional example of the .NET Framework technology in action), Microsoft hired the two developers, Rick Brewster and Tom Jackson, and has allowed them to continue improving the application and offering it as a free download. You can split hairs if you like – but in my opinion, and in the opinion of many other IT professionals, this is, for all intents and purposes, now a Microsoft product. First I have to thank you for increasing my knowledge in this. And second I again have to thank you for updating this blog with priceless information. Wish you happy holiday. I’m happy that you found the info useful. Thank you for the holiday greetings – much appreciated. I drop by your site from time to time, and I’m very impressed. Keep up the great work.